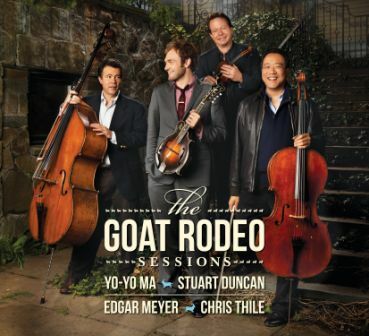 This entry was posted in happiness and tagged encouragement, goals, harmony, magic, music, new year, stress, The Goat Rodeo Sessions, Yo-Yo Ma by Lila Cheekytree. Bookmark the permalink. It is like the music itself is a vision for the year! Great post! I appreciate the definition of stress you shared. A nice simple way to describe negative stresses. I also loved the video. It’s so cool to see a player like Yo Yo Ma playing music that’s “fun”. Despite the fact that the music might be simpler then we’re used to hearing him play, he brings a playfullness to the music that’s great to see. It’s a nice reminder to me that music doesn’t have to be difficult or complicated to make an emotional impact on the listener. Thanks Steve. Yes, this definition of stress (using our imagination to think of negative outcomes) is empowering to me. It seems like common sense that I should use my power of imagination for good outcomes, not bad. Thanks for sharing – what a beautiful recording. Something I will be picking up to add to our collecction. I would also highly recommend Yo Yo Ma’s ‘Songs of Joy and Peace’. Thanks Andrea, I will check it out. Loved the video..Sheri -2 steppedin the lobby of the Hotel Monte Alban in Oaxaca Mexico.. no stress here!! Can hardly wait to see THE NEXT BIG STEP..2012 should prove to be a year of new horizons!! May your New Year be “attaboy” filled, stressless and harmonious. Check out the Kennedy Centre Honours show honouring Yo Yo Ma….it’s amazing! Thanks Cheryl, I will check it out. Beautiful peaceful music, thanks for sharing …. Wow! Thanks for the nomination. I love your blog(s) too!